The Premier League kicks off this weekend, but are you fully prepared? 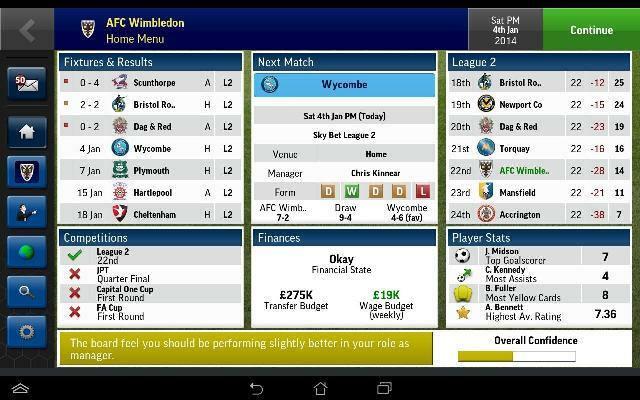 Here are 7 essential apps to help you stay on top of the latest scores and news, wow your mates with knowledge or just find a pub to watch the game in. Soccer Saturday is a national treasure, with millions of people tuning in to watch Jeff Stelling and friends for hours on end. Unfortunately, not all of us can dedicate an entire afternoon to watching ex-footballers describe matches. 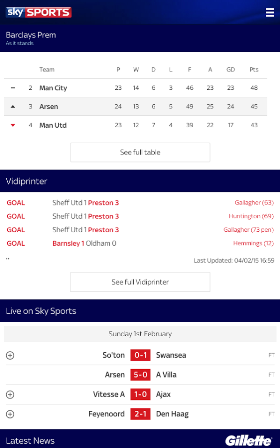 That’s where Sky Sports Live Football Score Centre (AKA Soccer Saturday on Your Phone) comes in; it delivers all the latest scores to your device, with notifications for the teams that matter to you. Designed for the tactically-inclined football fan, Stats Zone provides full analysis from all the Premier League games. 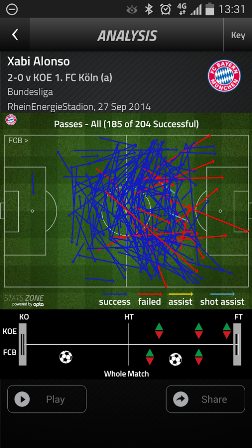 The stats provided range from general possession stats to player-specific passing stats. Perfect for thrilling/boring your mates with Neville-esque levels of analysis! 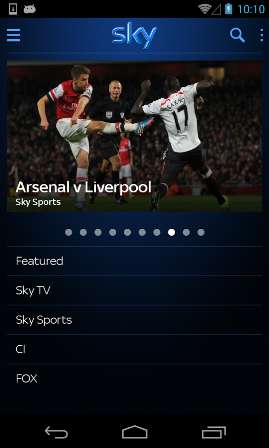 If you’re a Sky Sports subscriber, Sky Go is essential. It lets you watch games live while you’re out and about, or while the other half/kids boss the TV. Can’t ask for much more really, can you? Weirdly, one of the best ways to keep up with your team this season comes from our soccer-loving cousins in the US. 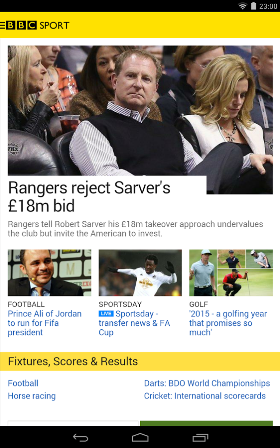 This fantastic app from the Bleacher Report pulls in stories and tweets to keep you ahead of the curve when it comes to your team’s news. The big daddy of sports news, keeping you up-to-date with all the Mourinho/van Gaal/Wenger outbursts 24/7 (oh, and some actual football news too). 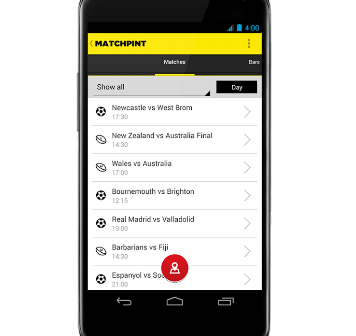 The beloved MatchPint is a veteran in the football app game but, like Francesco Totti and Antonio Di Natale, it just keeps getting better with age. The concept is simple: it finds your nearest pubs to watch the game in and provides reviews so you can determine a) whether you’ll actually be able to see the screen or not and b) whether you’re about to wander into ‘rival’ territory wearing your shirt. If you’re the kind of person who shouts ‘what the bleeping bleep are you messing about at, Pellegrini? !’ at Match of the Day, FMH 2016 is the game for you. It’s not quite as in-depth as the PC version, but it’s surprisingly immersive. 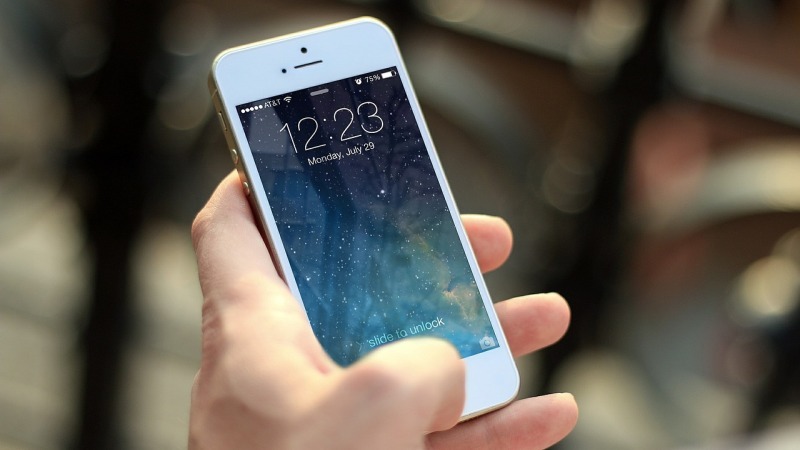 Have you tried our own surprisingly easy app? Just click on the links below to download it now for FREE!